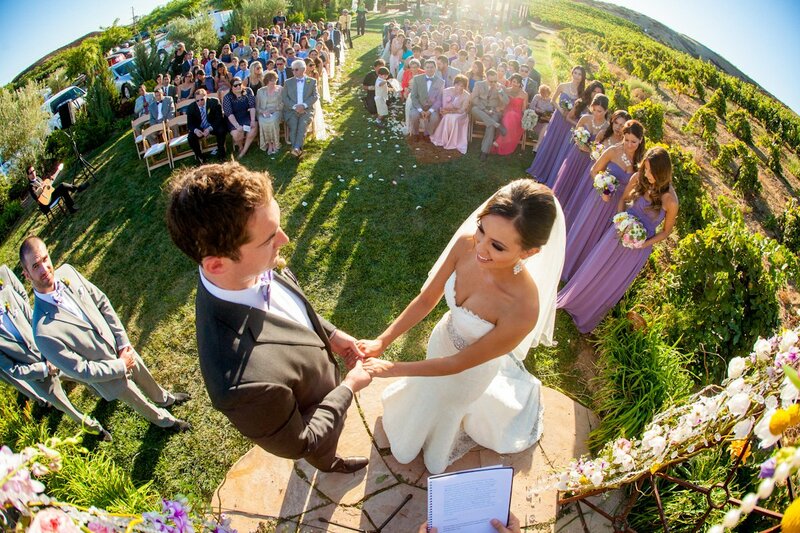 San Diego has no shortage of stunning wedding venues, that's for sure! 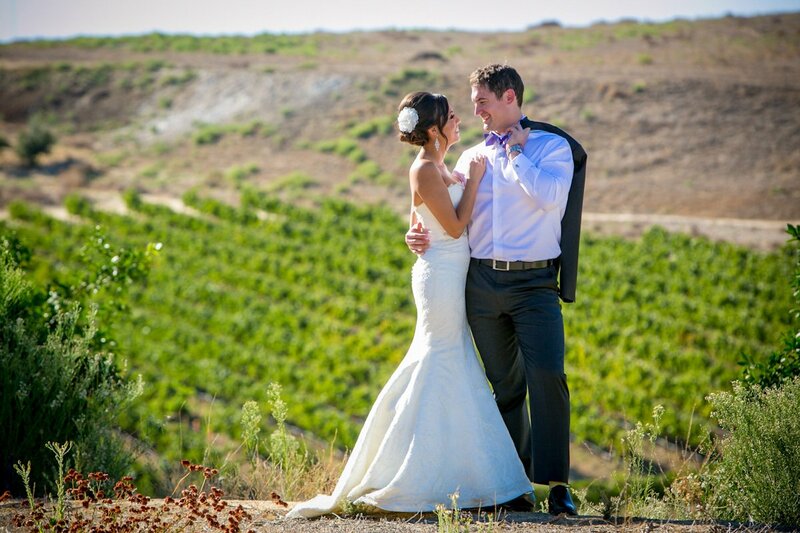 Over the years I have had the pleasure of getting to photograph weddings at a variety of San Diego wineries. And I have yet to visit one that isn't breathtaking. Each winery provides a wide variety of backdrops, textures and architecture, while showcasing nature's beauty, making them a photographers playground. 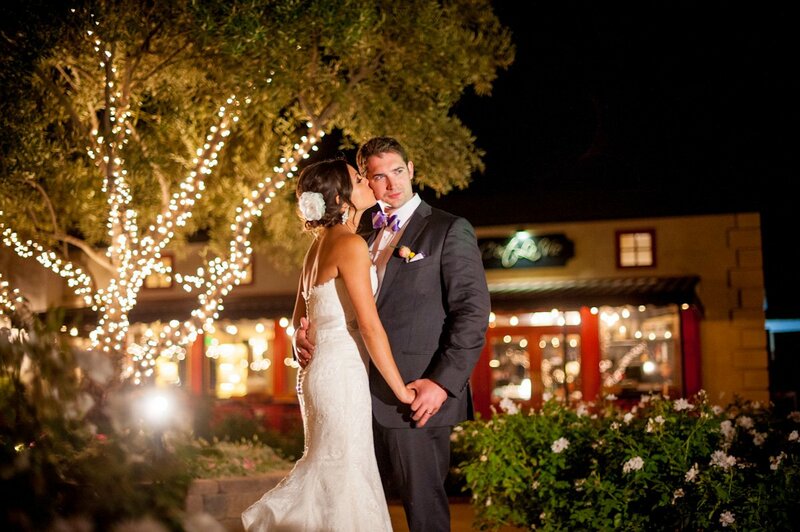 Temecula is especially well known in Southern California for being home to some great wineries. 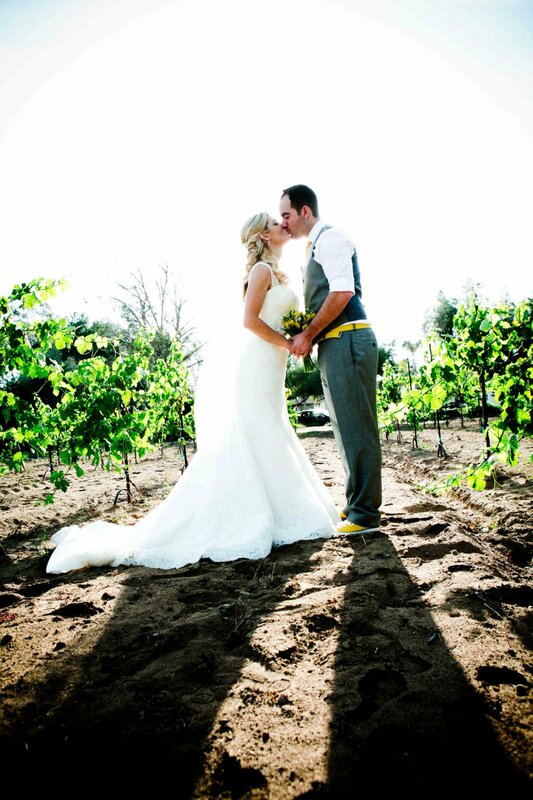 However, there are many great wineries in the region that don't call Temecula home. 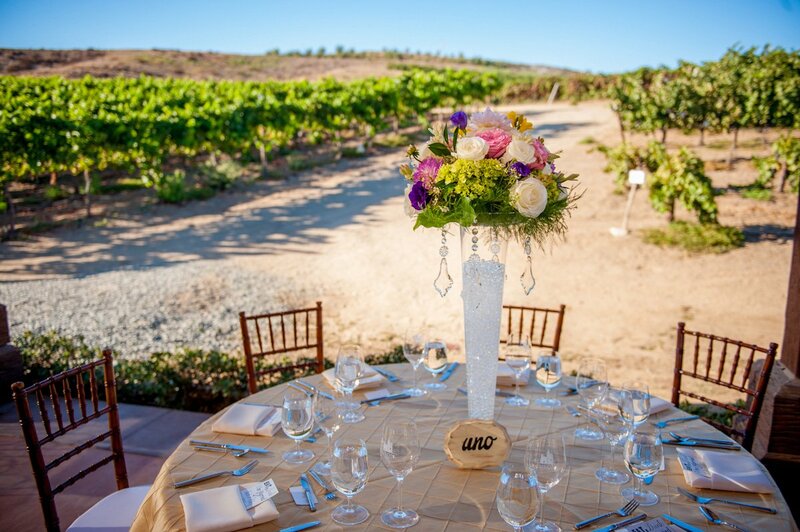 Today I am showcasing 4 wineries (of many) in the San Diego area that were great venues for weddings. 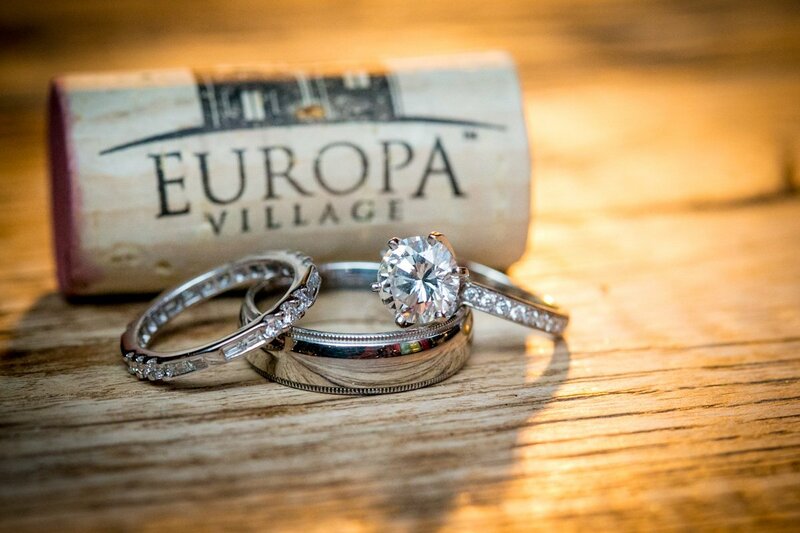 First on the list is Europa Village Winery, located in Temecula, California. 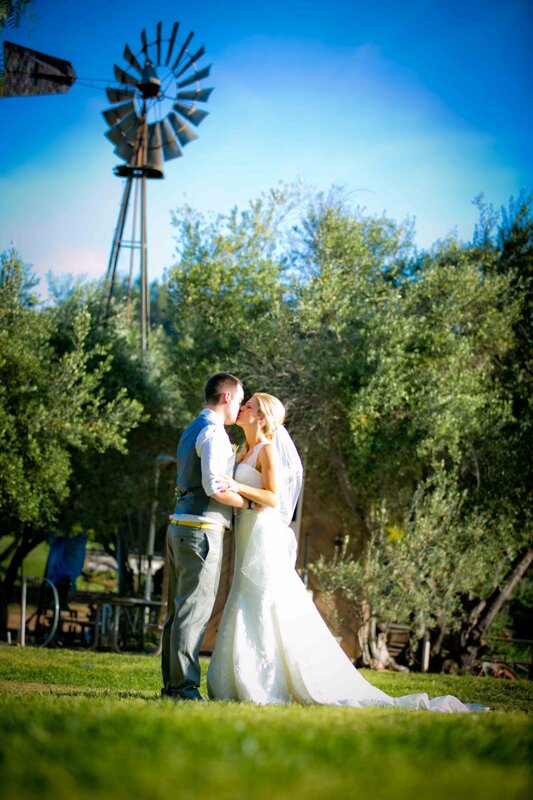 Abby and Nick chose this lovely spot, Europa Village Winery, to tie the knot. 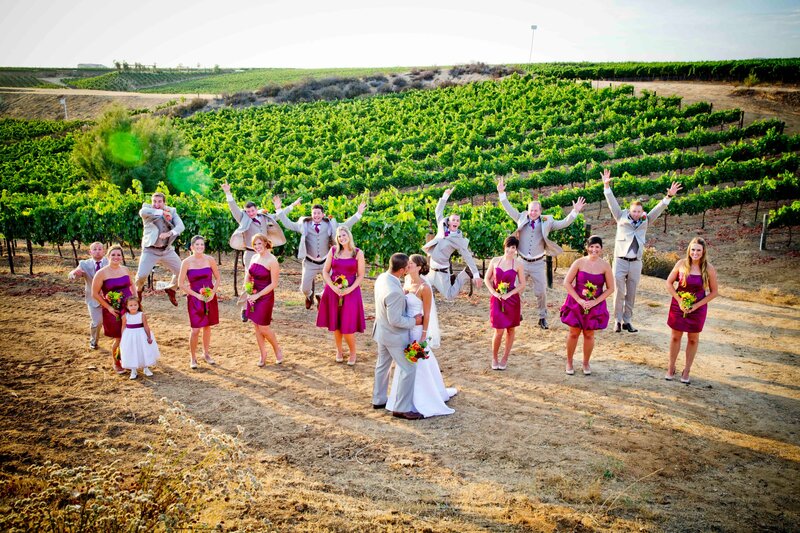 Europa Village offers some great views of the vineyard from every part of the wedding day, which makes for some stunning shots. 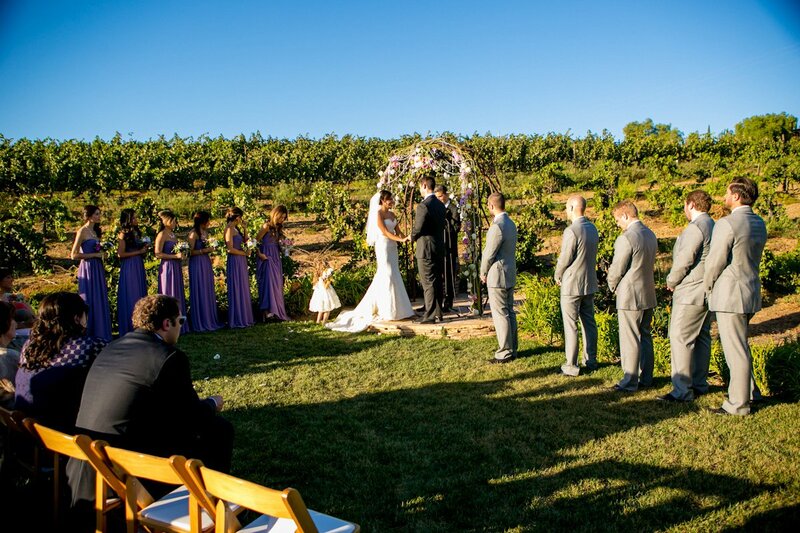 The ceremony took place right on the edge of the vineyard, what an amazing backdrop! 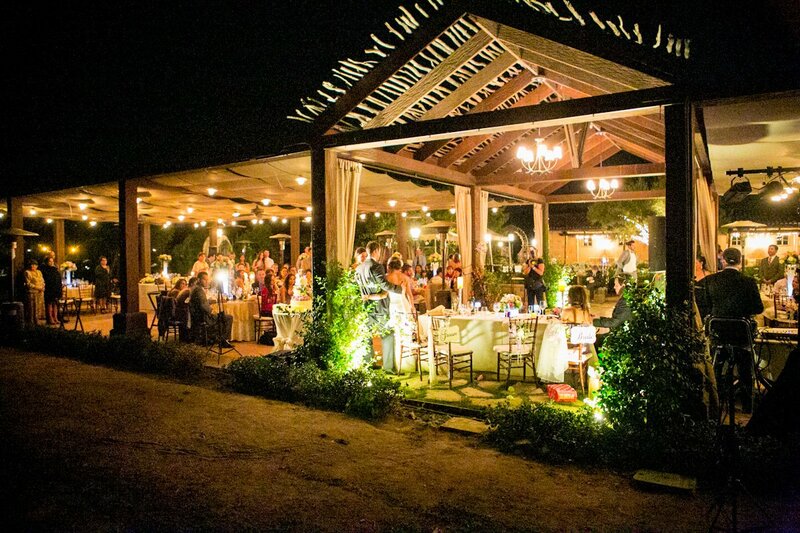 The reception space doesn't fall short either, it's very open and spacious and it overlooks the vineyard for a feel totally unique to the venue. This space lends itself very well to a delicate feel and Abby brought that to life in her choices for decor by featuring light pinks, purples and whites in the table centerpieces. At night, the venue is aglow with a combination of light sources. Everywhere you turn there is one great shot after the next, from afternoon into evening! 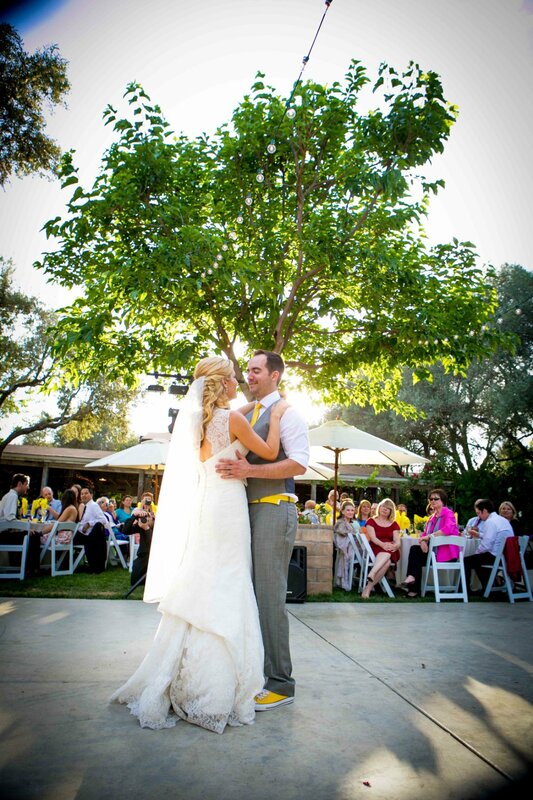 Kristen and Justin chose this charming winery for their wedding ceremony and reception. Falkner Winery, as you can see has such a charming quality about it. 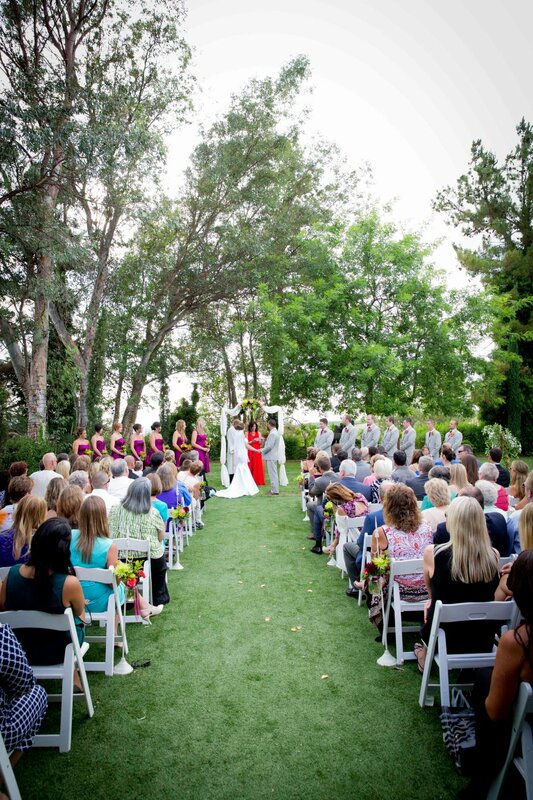 The ceremony space is full of greenery and large enough to fit a substantial group of attendees. 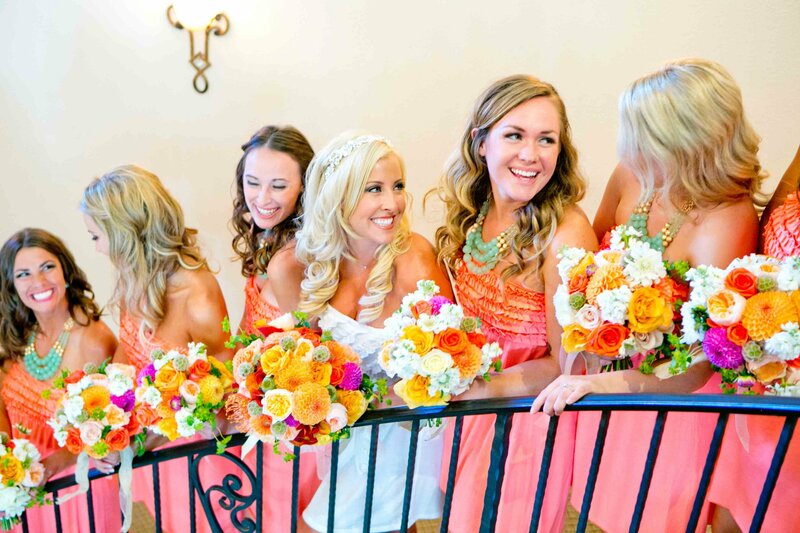 One of my personal favorite spots on the property is the "tunnel" made of vines, where we did some shots of Kristen and her gals. 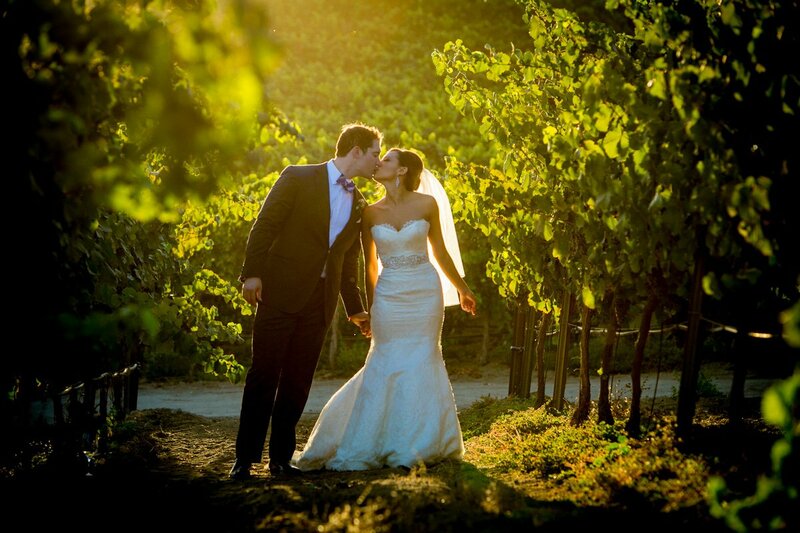 Vineyards always lend themselves to some great photographs of the couple and wedding party, especially when you catch that late afternoon lighting. 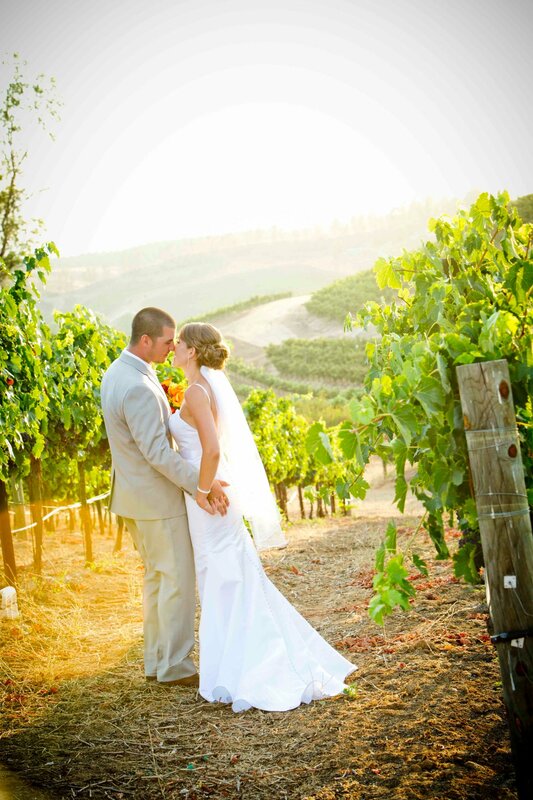 Falkner Winery has all that and more with gorgeous rolling hills covered in grape vines. 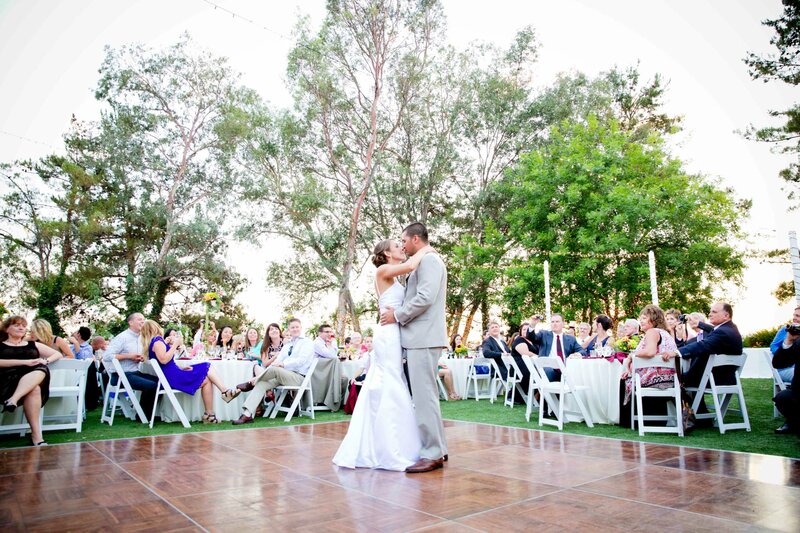 From the ceremony into the reception, their outdoor space gets transformed, a perfect spot to spend a San Diego evening. With the mild temperatures here, everyone is able to enjoy themselves as the sun sets and they find themselves under the starry sky. 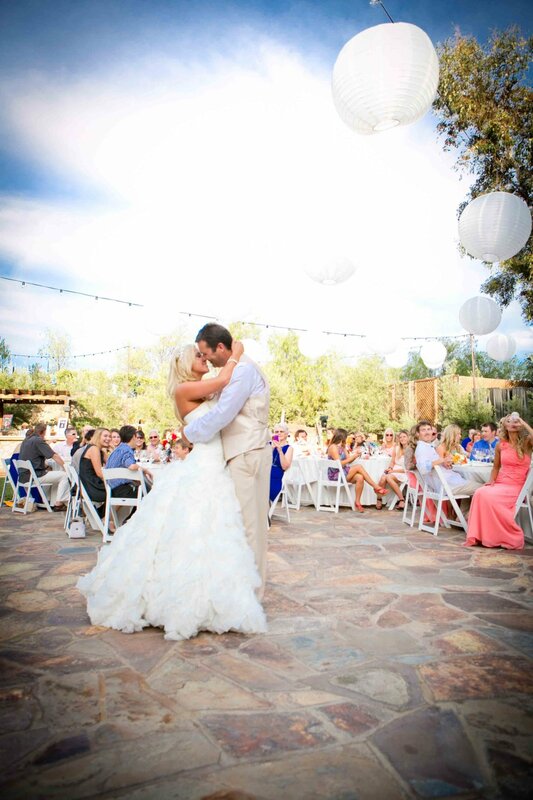 Lake Oak Meadows is the Temecula winery where Danielle and Jaime decided to say their I do's. 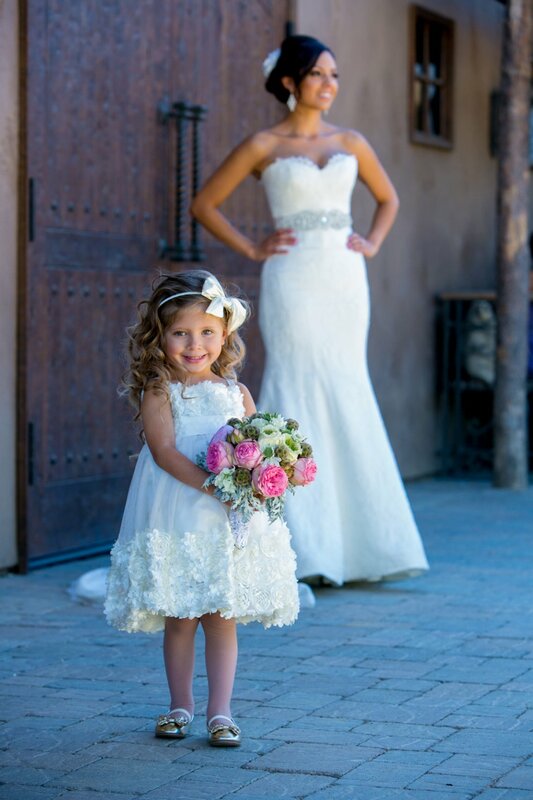 This winery is full of gorgeous settings that give me, as the wedding photographer, a variety of great options for photographs. 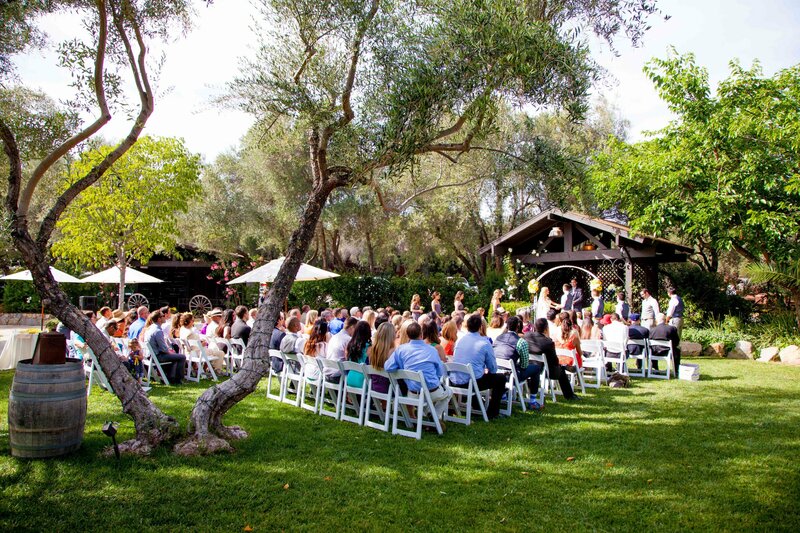 The space where the ceremony took place has no shortage of greenery which fills the shots with very vibrant green foliage. 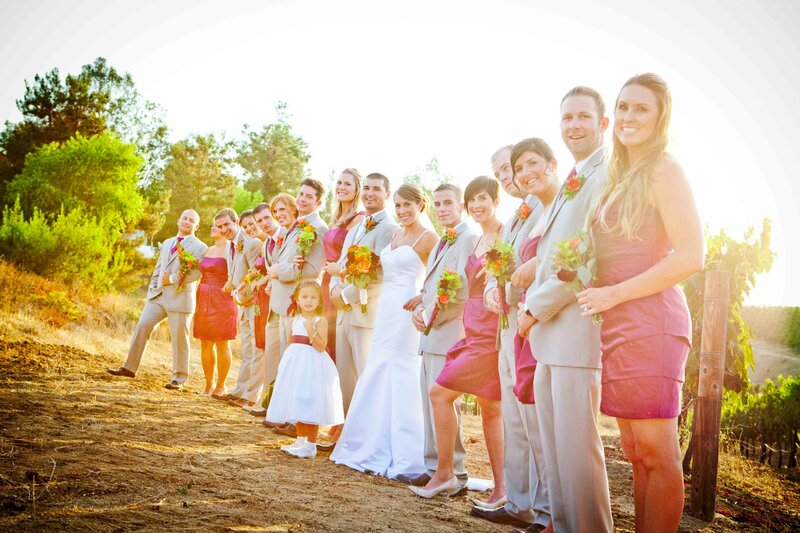 There is a gorgeous lake there also that makes for some one of a kind photos of the couple and bridal party. The lake is also equipped with a little dock that pokes out over the water, a great place for some shots of the newlyweds. 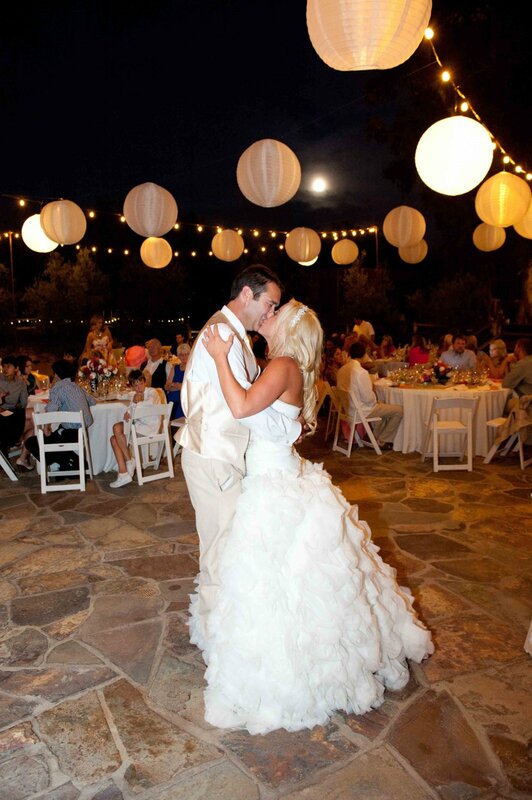 For the reception space, there is an area covered with awesome stones that make for a unique dance floor, which seamlessly carries the natural feel of the property throughout the event. In the evening there is a fountain in the lake that fires up and is quite breathtaking. 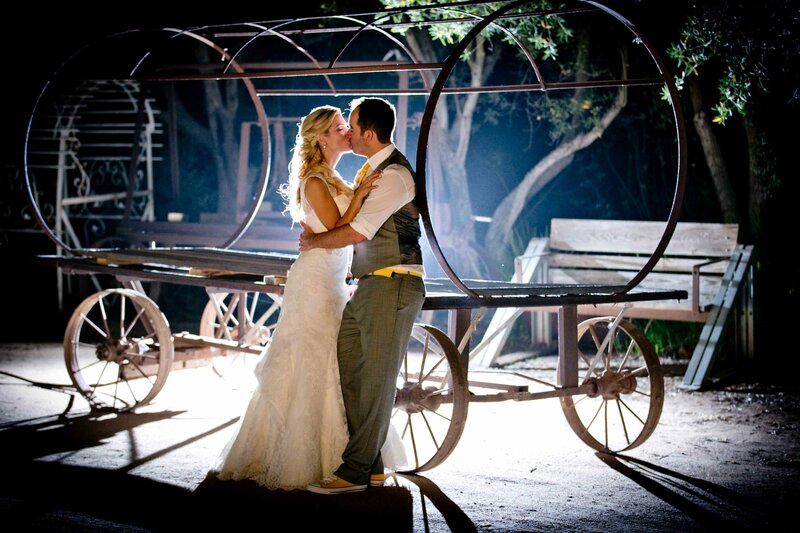 As I love shooting with different light sources, this gave me a chance to photograph the couple with some backlighting. 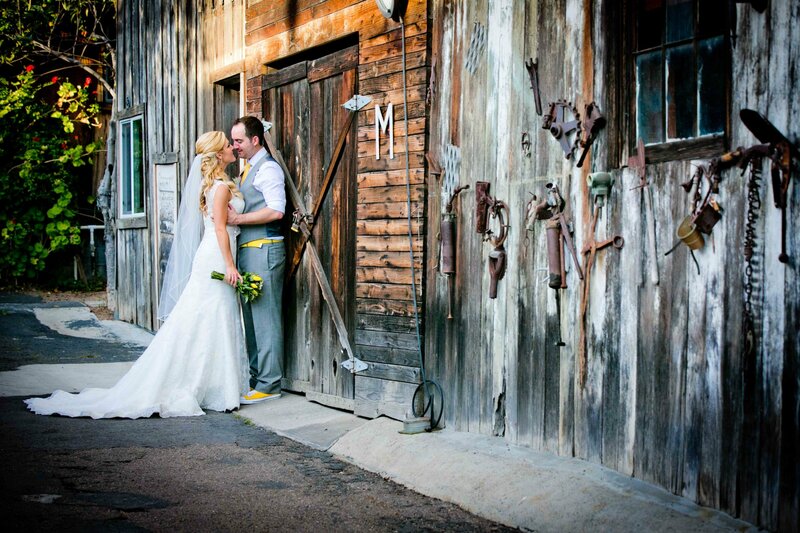 This is a pretty recent wedding as well, Carolyn and Kellan chose this quaint and charming venue for their wedding ceremony and reception. 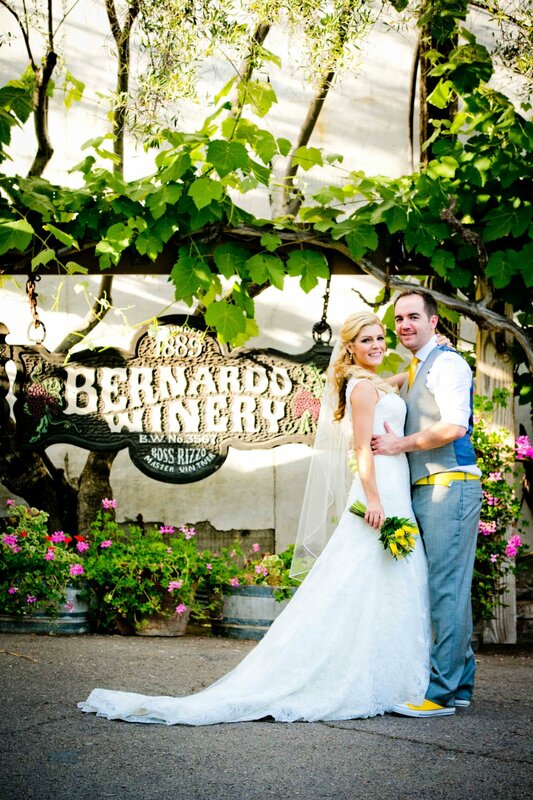 Bernardo Winery is an adorable property, packed with structures and intriguing artifacts that give it an antique and charming feel. 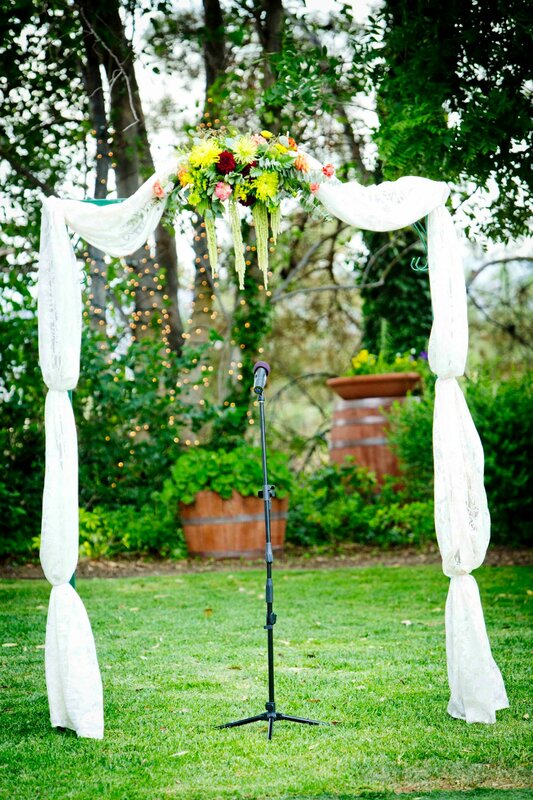 The ceremony space has an awesome structure that is the perfect backdrop for the couple to tie the knot. 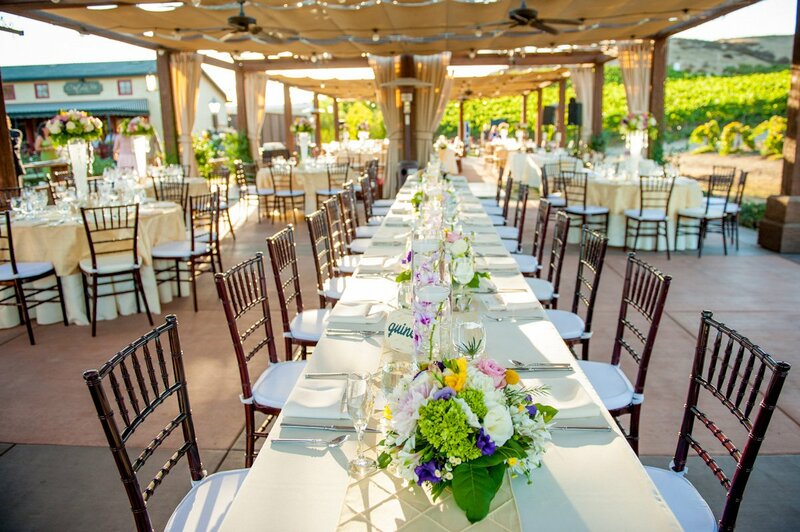 This area is surrounded by great trees and foliage and seats fits a good amount of guests. Besides the vineyard, which is always great to shoot photos in, I especially love playing with the different buildings and structures. They give such a great, unique feel to the photos, one that only Bernardo can provide. 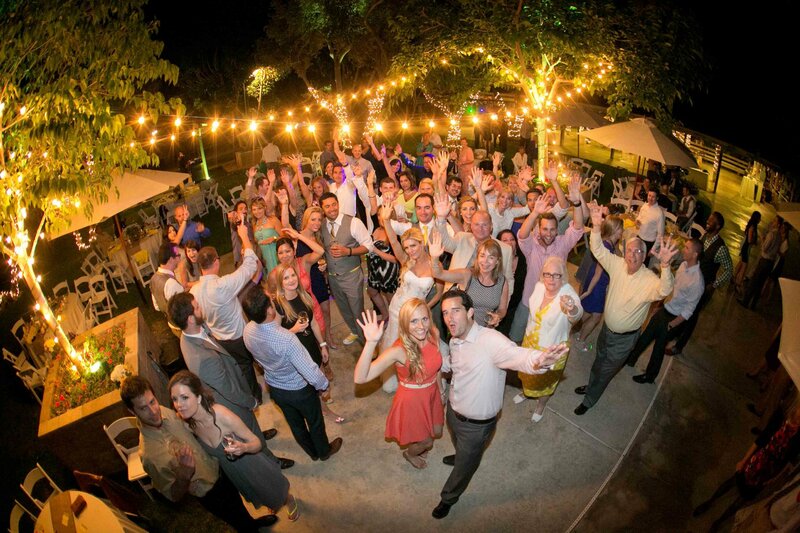 With a great reception space that lends itself to DIY details, your guests will always have a blast dancing the night away.